Screenshot via MSNBCKentucky Secretary of State Alison Grimes. 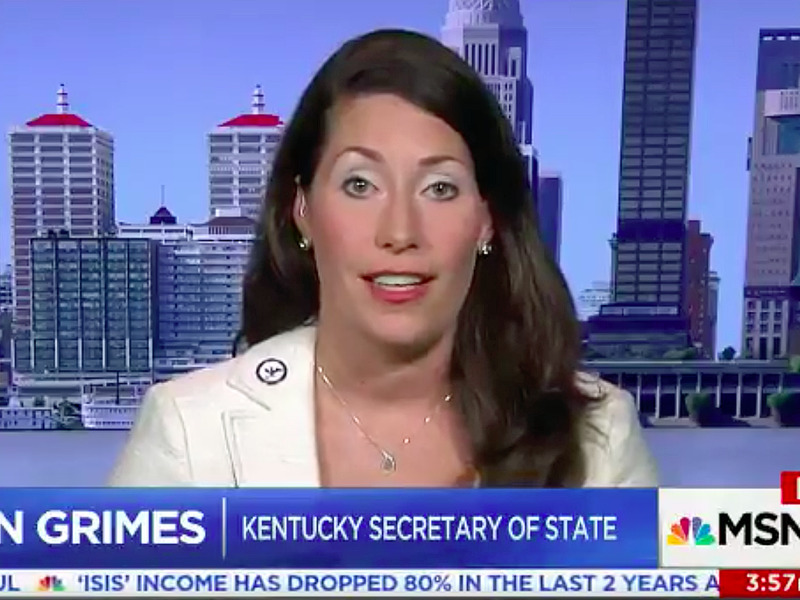 Kentucky Secretary of State Alison Grimes sounded off on the voter-fraud commission in charge of investigating a claim by President Donald Trump that millions of illegal ballots were cast in the 2016 election. Grimes appeared on MSNBC Friday, after her office rejected the Presidential Advisory Commission on Election Integrity’s request for sensitive data on individual registered voters. The information, according to a letter the commission’s vice-chair Kris Kobach sent to all 50 states on Wednesday, would be placed in a national public database. “There’s not enough bourbon here in Kentucky to make this request seem sensible,” Grimes said. Grimes’ comments follow an overwhelming response from at least two dozen US states that have also rejected Kobach’s request. She also questioned the security of the website to which states were asked to upload sensitive voter data. Voter advocates have roundly torched the commission’s activities, which they called politically motivated. Others have said that mass collection of the information could threaten voter privacy at a time when the US is still reeling from Russia’s meddling in the 2016 election.